Built in 1926 by the Unity Lodge No. 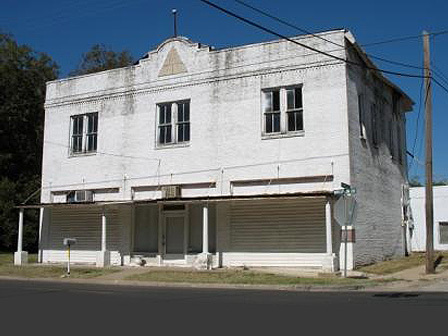 37 of the Colored Knights of Pythias, the lodge building is one of the few instit utional structures remaining in East Waxah achie in what was a thriving African American commercial district. The lodge building is situated on the highly visible corner of Martin Luther King Boulevard and Wyatt Street, just five blocks from the Ellis County Courthouse Square. The building remained in use as a lodge hall until the 1940s and is currently owned by the Bethesda Education Foundation. The current owners are attempting to preserve the building since taking ownership in 2003. They are faced with an urgent need to replace the roof. Also, they must plan for a complete restoration project so the historic lodge building can be reused as a community and educational center. UPDATE: In October 2015, the Lodge reopened as the Ellis County African-American Hall of Fame Museum, honoring notable locals and providing a venue for meetings, events and classes.